Unprecedented access to digital educational content, information and performance statistics just-in-time of need. Allows the user to study chapters, view solved examples and practice tests from the syllabus. Learn by reading topics and synopsis from the syllabus in e-pub format. Take tests in real time and offline. Take Mocks tests to perfect the preparation. 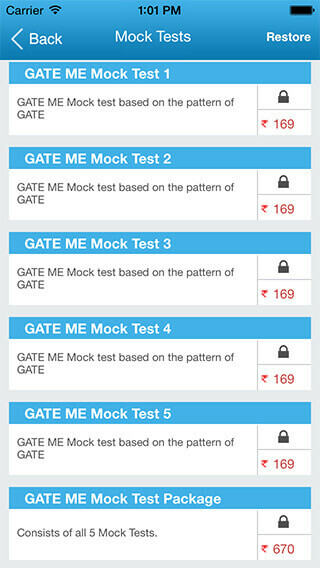 Create customized tests in selective topics, number of questions and difficulty levels. Detailed reports for all attempts taken by the user, proficiency reports, comparative reports & analysis. Names of the champions scoring the best across all subjects and courses. Questions ! But don't know whom to ask !! Simply post your questions, get answers, help others and connect with people. Brings fun and interactive brain games and quizzes, in easy access of mobiles and tablets. We are changing the world! Improving learning with technology. Revisewise is a digital learning company, conceived to cater to the need of the new generation for personalized and anytime anywhere learning. We are in the business of making learning interesting, convenient, self-paced and result-oriented. We believe that what we learn with pleasure, we never forget. We are passionate about technology and education, and marrying technology with education to create more dynamic and innovative learning experiences is what we love to do. We have partnered with the most premium content providers to provide the best and result-oriented content to our users on web and apps. The digitization is the inevitable solution to the upcoming lifestyle. There is a need to support the student fraternity with an incredible & a unique approach to learning. Our mission is to enliven the way students prepare for exams by equipping the students with modern and convenient educational resources, via mobile apps and online education. Through our Web Portals and Mobile Applications, we make the test prep content available to the user anytime anywhere. It also saves them from the inconvenience of the unavailability of the books/papers by making it easily downloadable and accessible to the user. Through Revisewise we are able to provide quality content from the best of content providers directly to the user, on their device. 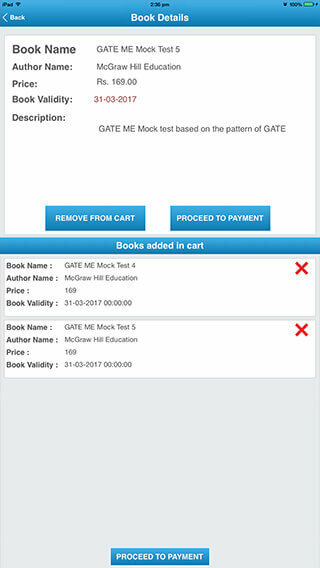 Through our Mobile Applications and Web Portals we have been able to reach to those people where even books can't reach. We believe in “What cannot be measured cannot be improved” and hence we focus a lot on performance assessment, providing detailed analysis and comparative reports to help the students to analyze where they stand compared to competitors. We are India’s first solution integrating e-learning and m-learning on a single platform. The USP of our solution is the availability of fully featured mobile applications along with web portal and seamless integration between the two. "Sof Olympiad trainer is the perfect tool for preparation of various Olympiads. The mock tests and other practice materials have helped me immensely. I can take on the challenges of the actual tests with lot more confidence and ease thanks to the Trainer. The constant practice and motivation that I get from doing better than the earlier performance as I can see the problem areas have helped me tremendously. I could achieve 1st rank in the International, State/Zonal& my school in IMO level 1...Looking forward to practice more on Sofolympiadtrainer.com for the level 2 in NSO and IMO"
I personally cannot thank Sofolympiadtrainer.com enough for the great efforts that you all have put in towards the quality of test papers and the ease of working through the whole website. Sof Olympiad Trainer has helped improve my overall confidence and its systematic methodology has helped in getting good scores in the exams. Thank you Sof Olympiad Trainer Team. We are a small team with great skills and passion. Are you ready to start your journey towards digitisation? Give us call or drop us a line. Revisewise Education Solutions Pvt. Ltd.
We are a group of motivated and passionate people with a vast experience in education and technology. Founded in 2012, the company has grown leaps and bounds, thanks to our patrons. Revisewise reaches 100,000 registered users. Ten million questions attempted on the platform. 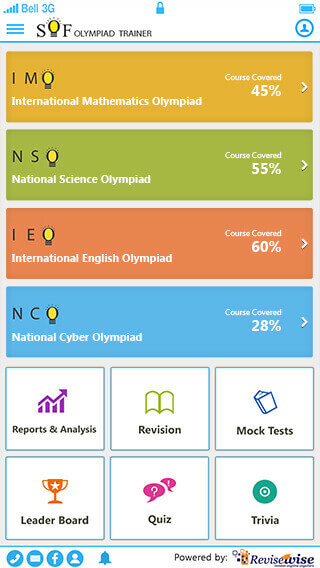 Download of our app SOF Olympiad Trainer reaches 100,000. Revisewise reaches 200,000 registered users. © 2016 Revisewise. All rights reserved.